Part #: K01-0105-1-SS – 8″ Totally S.S.
Part #: K01-0106-1-SS – 12″ Totally S.S.
Part #: K01-0107-1-SS – 18″ Totally S.S.
Part #: K01-0108 – 22″ Totally S.S. Allow 2-Weeks Build and Ship Time. and our #1 Selling Reel! Connects equipment to the reel. Hose reels are a convenience item for a pressure washer. They provide storage space for hose, and make it easier to put the hose away. A hose reel is plumbed to a pressure washer using a high-pressure jumper hose. 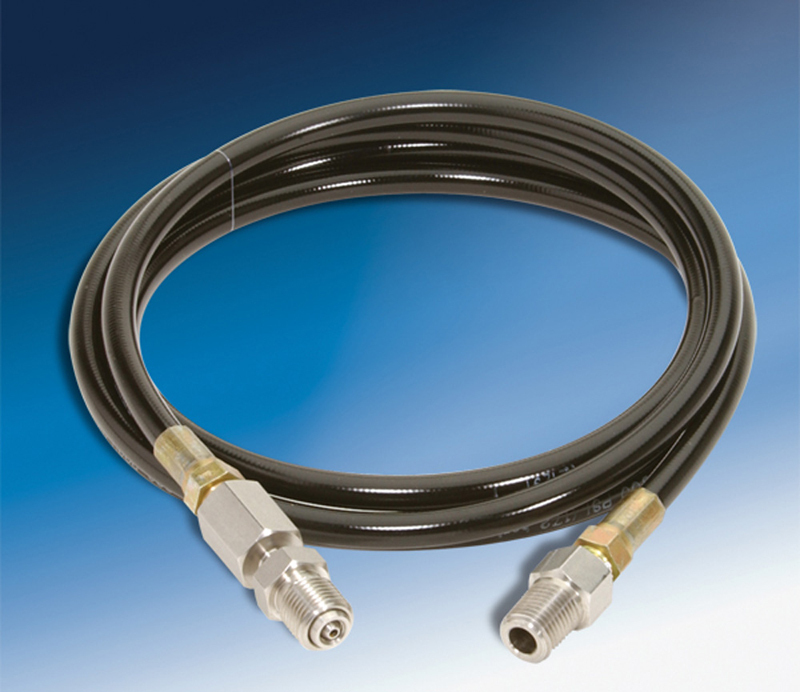 The jumper hose connects into a swivel on the hub of the hose reel. 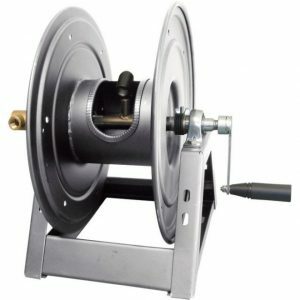 The high-pressure hose is then plumbed into the hose reel outlet and coiled onto the reel. There are manual hose reels that have a side handle that is manually cranked and there are electric reels powered by motors. 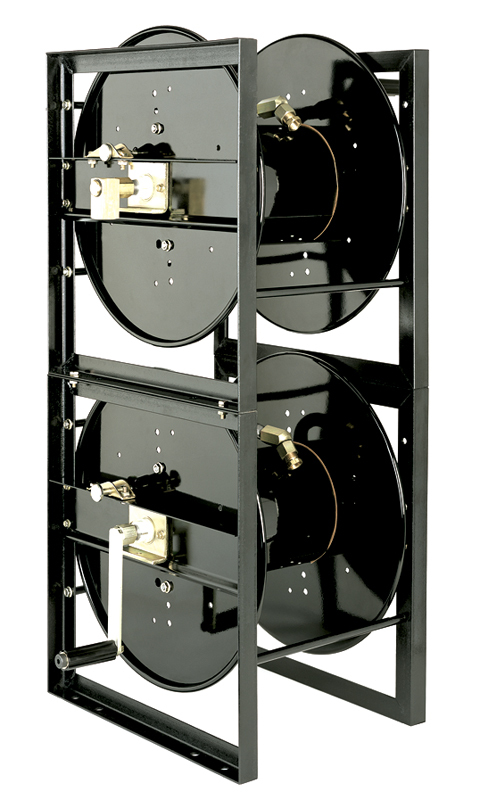 Reels can be mounted on the pressure washer, wall mounted, or floor mounted. There are many different capacity and size options. High-pressure reels can be used for low water pick-up and storage of low-pressure garden hose. They are actually a very good substitute for garden hose reels that are not built to hold up to rigorous use. 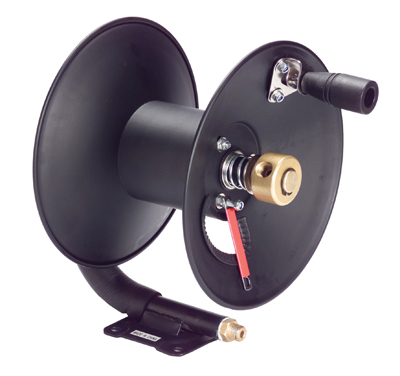 While it is impossible to cover how best to mount a hose reel in all given situations, some common sense guidelines should be useful. 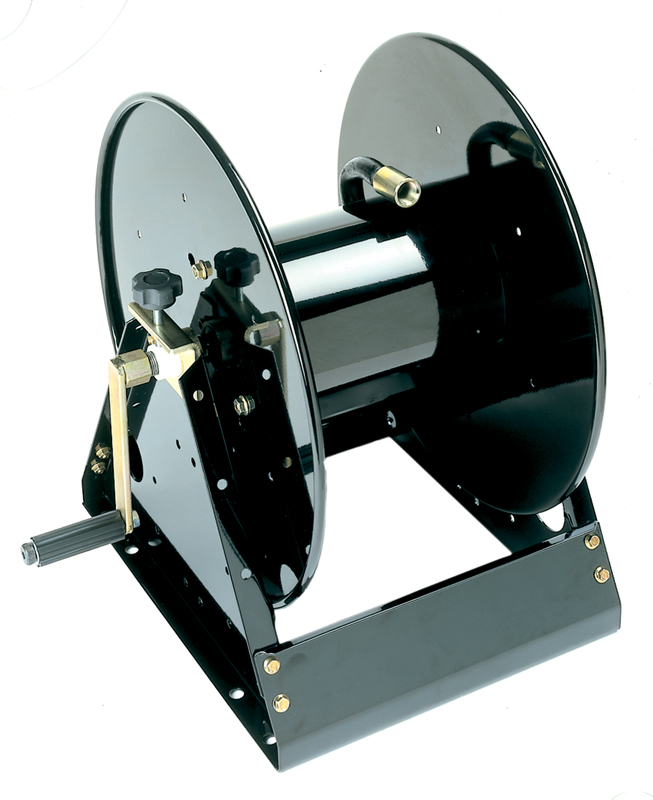 A reel on a portable unit is best mounted to the unit’s frame. 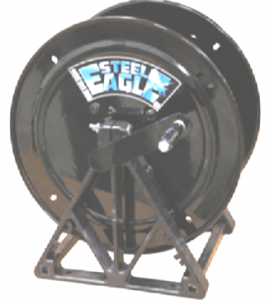 A small reel with limited hose capacity is best due to weight and space factors. For truck or trailer mounted pressure wash units, floor mount the reel where it is easy to operate from the ground or standing on a bumper. Leave plenty of room around the reel handle so turning the reel is easy. Wash bay units work well with wall-mounted reels. When reeling in hose, use a rag to feed the hose onto the reel. This also cleans the hose and protects your hands from possible injury. 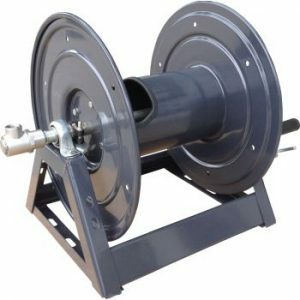 The serviceable part of a hose reel is the swivel. The swivel will wear out and start to leak eventually. Swivel replacement is easy. Unscrew the jumper hose, lock the reel in position, and using a pipe wrench or large adjustable wrench, remove and replace the swivel. Some swivels have rebuild kits available. A mobile wash contractor should have a replacement swivel as part of your spare parts package. Use a reel with a capacity greater than the actual amount of hose that you want it to hold. Do not pressure wash with hose still coiled on the reel. This will shorten the hose life and can also damage the hose reel. 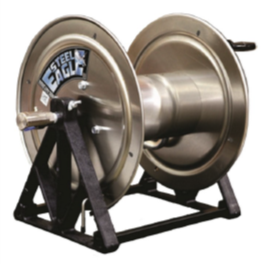 Most reels have a tension adjustment. This should be set so that the reel doesn’t spin too fast when pulling out the hose. Reels usually have a lock that should be set when the hose has been coiled in to prevent uncoiling. Make sure the equipment doesn’t exceed the pressure rating of the reel.